A good word to describe Android M would be “control.” Android M may not give users the big, sweeping UI changes and feature introductions of Lollipop, yet instead focuses on giving users more control over their phones. 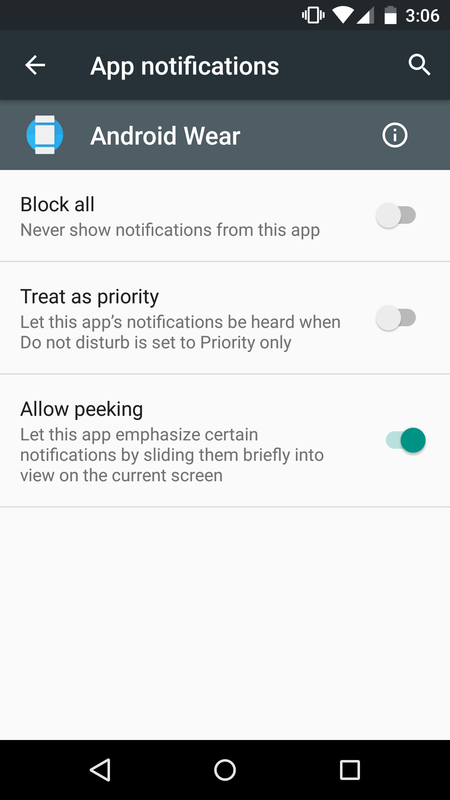 From controlling app permissions to the way settings and quick toggles show, the Android team is really letting your Android phone be customized to your liking. With peeking control, you are able to turn off the notifications that pop down from the top of the screen over the top of your current screen (as seen in the GIF above). Previously, if a developer built in heads-up or peeking notifications, you were at their mercy and had to deal with them if enabled. Now, the control is in your hands. Be sure to checkout all of our Android M feature highlights!